There are lots of benefits to container gardening, especially the freedom to move your containers anywhere you want. Here are three tips for designing and maintaining an eye-catching container garden that will add a splash of colour wherever you place it. 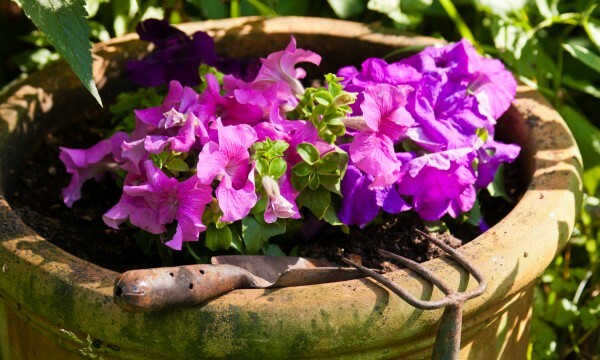 If you love the colourful way flowers can perk up any backyard, patio or garden but don’t have the space, time or desire for a traditional garden, why not consider container gardening? A balcony garden works well if you have limited space but still want to garden. 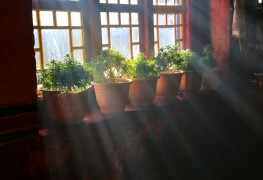 You might think you can only keep flowers in a balcony garden, but various other plants — including edibles — can be grown. Here's the important factors to consider. 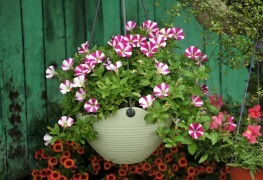 Window boxes offer an elegant place to grow flowers and plants. They look beautiful from the outside and can also be enjoyed from the inside. 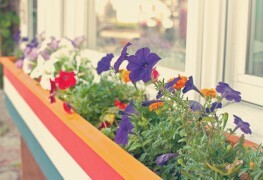 Here are eleven ideas for dressing up your windows with flower boxes. 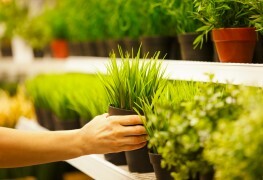 Some of your favourite spring blooms can be grown indoors months ahead of time. 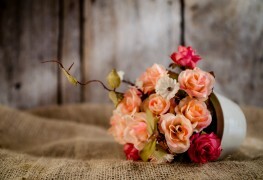 Here's the easiest way to "force" flowers and get a jump on the growing season. When you're planning your spring garden, include the herbs that you most commonly toss into your cart at the grocery store. 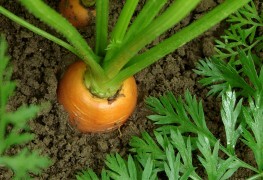 Enjoy the satisfaction of using the fresh, organic and readily available flavours produced right in your home. 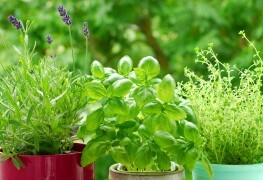 If you have a small space, a container garden might be the best option for you to grow your own herbs and vegetables. 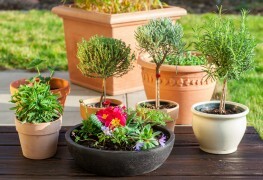 Here are five tips for planning your potted garden. 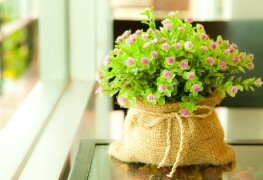 Container gardening is very enjoyable and very convenient. 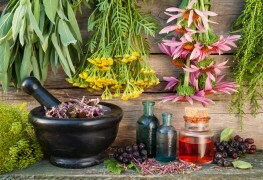 However, to get the best results, there are certain concepts to consider before planning the design of your container garden. Here are three of them. 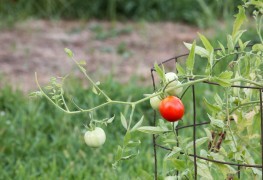 Even if you don't have much space, you can still grow your own food right in your own back yard. 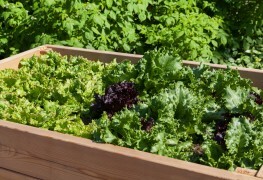 In just one square metre of planting area, you can grow a salad garden to enjoy fresh vegetables throughout their growing season. Here's how. 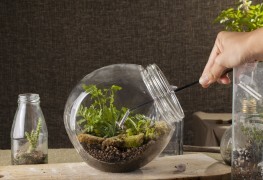 A terrarium is a delightful and low-maintenance way of bringing more natural energy into your home or office environment. 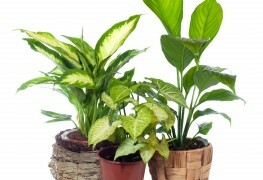 Use these basic tips and steps for creating your own in-home mini garden. 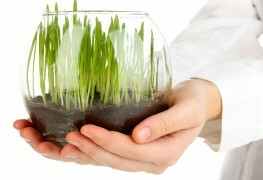 Does tap water harm your plants? 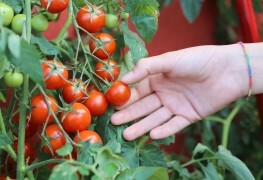 Many vegetables can be grown in a container, and tomatoes make an attractive, low-maintenance selection for a container vegetable garden in any space. Here are tips in doing this. Who says you can't have your cake — or pineapple — and eat it too? You may think pitching carrot tops into the compost is eco-friendly, but there's a more productive way to deal with your leftover produce. 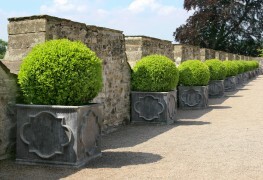 Many of the most decorative shrubs can be grown in large pots or tubs to adorn your patio or terrace. Here's a quick guide to help you get started.